One more thought exercise for the weekend, still linked to the Eisner Award nominations, but this time I’m thinking about the Best Publication for Teens category. There was some lively conversation on Twitter on the subject, specifically why there’s never any manga in this category when so much of the category is aimed at teens and a lot of it is really, really good. But why do you suppose manga is ignored on this front? Could it be that the judges would rather favor works created during the nomination period rather than translated reprints of comics from various vintages? Could they want to shine the spotlight on titles with less of a market presence? Or is manga just discounted when it’s targeted at teens? Also, what are some worthy shônen and shôjo works that you’d like to see get a nod in this category? 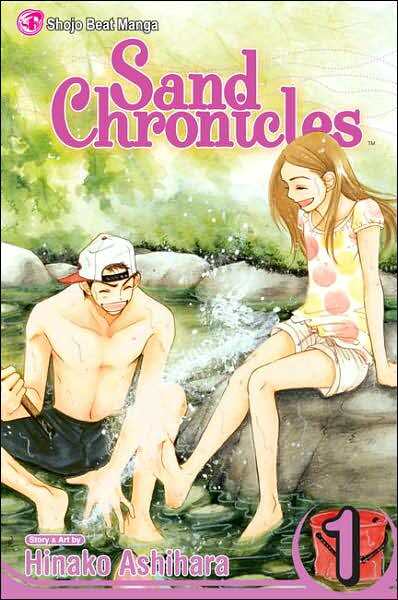 The window is now closed on Natsuki Takaya’s glorious Fruits Basket (Tokyopop) getting some Eisner love, but there’s still 2011 for Hinako Ashihara’s sublime Sand Chronicles (Viz). What about mega-popular titles that also happen to be really, really good? This entry was posted on Sunday, April 11th, 2010 at 1:06 pm and is filed under Awards and lists. You can follow any responses to this entry through the RSS 2.0 feed. Both comments and pings are currently closed. I second Fullmetal Alchemist. It’s just that good. It would be nice if they did do a seperate category for Best Publication for Teen-Manga, like they have now done for Foreign material. Kimi ni Todoke is one I would nominate. I really connected with the first two volumes, they reminded me alot of the struggle to make connection in the world of high school teens. I would second Sand Chronicles. Another title I would love to see in the category is Nightschool, this Yen Press title is so well done.